Which sling should I buy? This is one of the most frequently asked questions from parents. 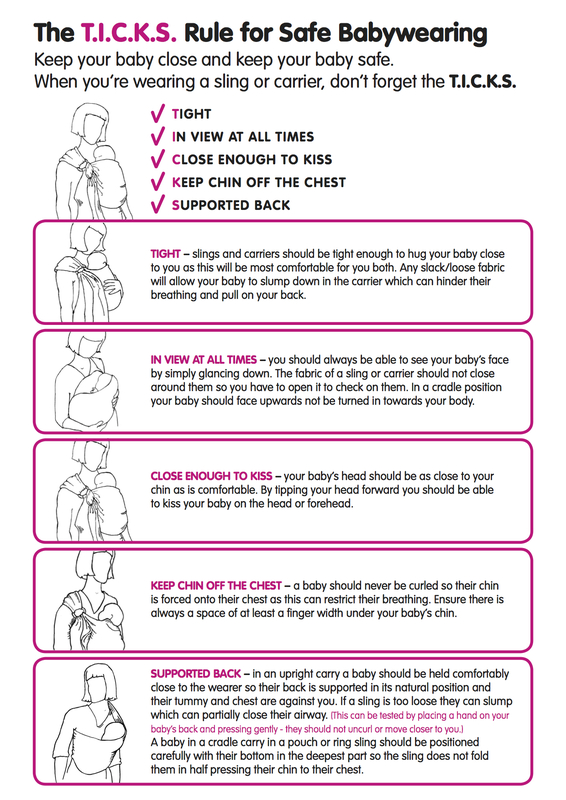 If you type babywearing into the search engine you can see there are hundreds if not thousands of slings in the world – different style, different material, different brand, different size. So today I am going to help you narrow down your choices so that you will know which direction you are going with. Slings can be generally categorized into the following – stretchy wrap, woven wrap, ringsling, mei tai, soft structured carrier (ssc). In this article I am going to list out the characteristic of each kind, so hopefully it will help parents narrow down their choices. – A stretchy wrap is a long piece of stretchy fabric that generally wrap around the baby and parent 3 times. Con: not so great for bigger babies, you might need to upgrade to a more supportive sling from 4-6 months onward. – A woven wrap is a piece of woven fabric. Size varies from 2 metres to 5.2 metres. Con: steep learning curve, you might need help from a babywearing consultant, but it’s a good skill to have once you know it. I keep telling parents they can know carry their babies even during zombie attack as long as they have a towel or a random sheet handy, haha! – A ring sling is a piece of woven wrap with a ring attached so that you don’t need to tie knots. Some ring sling can be made with stretchy fabric. – A Mei Tai is based on traditional Chinese design. It’s made up with a square and 4 straps. Sometimes you have a hood and other modern convenience, e.g. little bag for your phone or hooks for teething toys, etc. – It’s basically a Mei Tai but with modern hiking technology. So when it comes down to it, how do we choose which kind of sling is suitable to your family? It depends on your lifestyle. You have to ask yourself what are you going to use the sling for. For example, if you are like me who lives in Dublin inner city, we use public transport exclusive and walk a lot, woven wrap or ssc might be a good choice for you as they are the most supportive for long walks. If you are only using the sling at home so you get your hands free to do housework, then maybe a mei tai is great for you. It is supportive, both parents can use it, you don’t have to worry about long tails and it won’t be too warm for indoor. If you have a newborn AND a toddler, then Ring Sling could be good for both newborn snuggle and toddler going up and down every 5 minutes. I hope this post helps you to understand the different sling categories. If you think you still need extra help in choosing a sling, you can contact me for a consult, an hour and a half consult will help you to choose a sling plus to learn one carry (and your partner if you wish). Alternatively, check out your local sling meet if you want to see a wide range of slings and play with them to get a better idea. Check out Babywearing Ireland website for your next local sling meet. In case you don’t already know, I have launched my own sling brand with what I think the best quality of fabric and the best design. Check it out on LOVA Sling.